I am still wondering what stopped this book from becoming the bestseller it deserved to be. 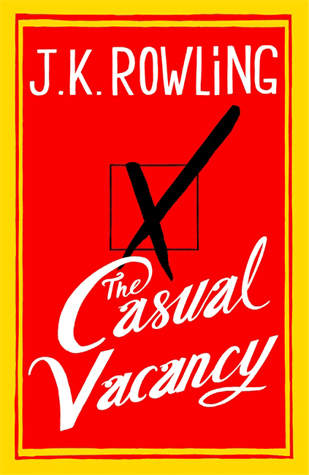 Indeed 'a big novel about a small town', The Casual Vacancy showcases Rowling's prowess as a plotter. She creates a detailed world out of Pagford, with characters whose motives and pasts are as exciting as her engaging style of writing about them. The character off Krystal Weedon is probably one of Rowling's best till date. To have fleshed out the confused teenager coming from a disturbed background, with responsibilities too major to bear stuck in a prim little town atmosphere where she cannot even aspire to straighten out and belong was sheer genius. The dialogues throughout the book were just so real. The book truly played out like a film in my head. I couldn't part from the book for a second and I relished every page of it. Rowling really needs to write more such prose. I have no idea why anyone panned this book!